About 25 balloon teams are expected to take part in the Arizona Balloon Classic at the 6th annual event in January 2019. 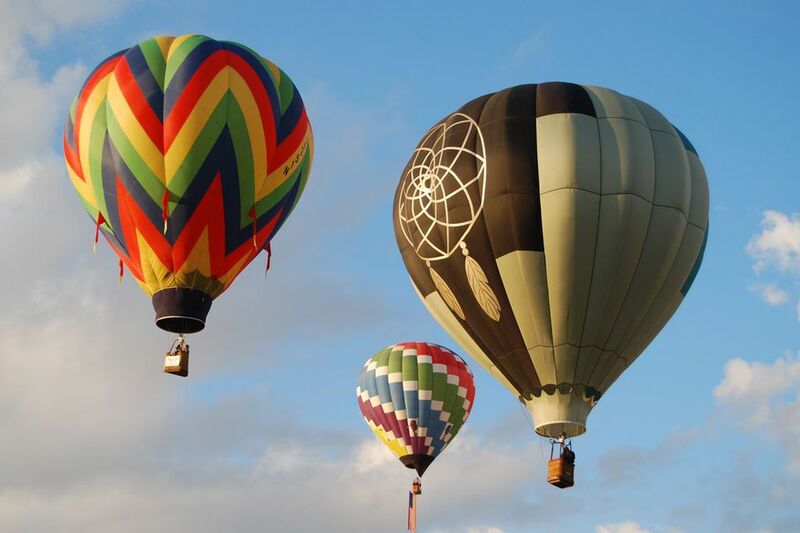 Over the three day festival, thousands people will enjoy early evening balloon glows, morning balloon launches and landings, plus The Hare and Hound, a traditional hot air ballooning race. As one might expect, there will more than that going on — music, food, a family fun zone, and fireworks. Friday, January 25, 2019 from 4 p.m. to 8 p.m.
Saturday, January 26, 2019 from 7 a.m. to 8 p.m.
Sunday, January 27, 2019 from 7 a.m. to 10 a.m.
Arizona Balloon Classic activities will take place at Goodyear Ballpark – 1933 S. Ballpark Way, Goodyear, Arizona 85338. For any one day – $15 at the gate. DISCOUNT ticket promotion starts Friday, November 23rd 2018 (Black Friday). Active Military and Children 12 & under are always FREE. Group ticket packages available. General parking $5. The Arizona Balloon Classic – On Saturday & Sunday morning, January 26th & 27th .The sky will be filled with colorful hot-air Balloons participating in the thrilling “Hare & Hound” race from the grassy fields of the Goodyear Ballpark for a spectacular sight of mass and color. Spectators can walks on the field and experience the balloons inflation and lift off. Photo taking is invited! Desert Glows: On Friday and Saturday evenings, January 25th & 26th are our most popular attended activities. A field full of illuminated, tethered hot-air Balloons will glow in time to Music. Other Attractions: “Pre-booked” Hot-Air Balloon Rides, Family Fun Zone, Hot-Air Balloon “Tethered” Rides, Fireworks (Saturday ONLY) Live entertainment, Lunch at the Food Fest and many other exciting activities. Retail shopping and commercial exhibits for purchase or browsing. A balloon festival spans a lot of area and quite a bit of time during the day, so here are some tips that I have gathered that hopefully will prepare you for a memorable weekend of balloon activity and fun at the Arizona Balloon Classic. Balloon liftoffs, competitions and glows are always dependent upon weather conditions. Safety is the first priority. No rain checks or refunds are given if the balloons can't go up. When about thousands of your friends get together at one place, traffic and parking are likely to be annoying. Be early, be patient. Each day is considered a separate event and a separate ticket is required for each day. In an open field at 6:30 in the morning in December, it's pretty cold! Wear layers that you can remove as the day warms up. I like to walk, walk, walk at a balloon festival, but I recommend bringing those portable folding chairs so you can rest and enjoy the balloons (and your fry bread or hot dog) comfortably. Leave Fido home, since no pets are allowed. Re-entry will be permitted on Saturday evening, after the morning races, for those that purchased tickets for Saturday. Bring cash for food, it's easiest. Don't forget the camera! There are no restrictions on photography. Visit the Arizona Balloon Classic online.